WASHINGTON — Exorcists are in high demand but that may not be the devil’s doing. Expellers of evil spirits are being sought with increasing frequency internationally, in part due to the mentally ill seeking spiritual cures for medical ailments. But noting the crucial role religion and spirituality can play in healing, the American Psychological Association Foundation — which does not have a formal position on exorcism or possession — says it is not uncommon for those with mental health concerns to first seek a faith leader’s guidance. The Rev. Dr. Raymond Studzinski, an associate professor of spirituality at The Catholic University of America in Washington, says just as the anointing of the sick often empowers the ill, so can rituals like exorcism help people regain balance in their lives. “The prayer experience which is part of exorcism could have a benefit for those struggling with powerful issues and give them the sense that God is with them in the midst of their struggles,” he said. Though some versions of the Bible describe the boy as having seizures, the use of “lunatic,” an archaic name for someone rendered mad by the lunar cycle, hints at age-old blurred lines between mental illness and demonic possession. A 1907 article in the Journal of the American Medical Association details exorcism as the first step in primitive psychotherapy. As medicine advanced, it became Catholic Church protocol that exorcism-seekers must first undergo medical and psychiatric evaluations to help separate the possessed from the mentally ill.
Chasteen says the Catholic Church’s strict rules for screening exorcism candidates also weeds out attention-seekers and non-believers. Dr. Thomas Plante is a licensed psychologist and Santa Clara University professor who treats people who have had or sought exorcisms. He says the vast majority of patients seeking deliverance from demons are suffering psychiatric disturbances. But Plante points out that even the mentally healthy often blame Satan for their thoughts and feelings as a coping mechanism. Plante recalled an older, devout Catholic woman who had been referred to him by a priest. She was upset about having “less than pure” thoughts and impulses, he said. The prevalence of mentally ill persons seeking exorcisms is not a phenomenon unique to the U.S.
“Possession occurs in all cultures,” said Dr. Joseph Laycock, who teaches “Demonology, Possession, and Exorcism” at Texas State University. “There’s almost no culture on Earth where there is not some form of spirit possession. While some symptoms of mental illness and demonic possession can mimic one another, Laycock notes those of the latter may vary among faiths and cultures. “There seems to be these kinds of cultural scripts; when people are possessed, they tend to behave in ways that their culture says possessed people are supposed to behave,” he said, adding that during the Protestant Reformation in the 16th century, allegedly possessed Catholics acted differently than afflicted Protestants. Plante believes the migration of people of different faiths is contributing to the current spike in claims of possession. With terror threats and political turmoil now commonplace in many parts of the world, societal stress and group hysteria could account for an increased demand in exorcisms, Plante said. Media, too, has a powerful effect on the world’s relationship with the rite, Plante and Laycock agree. 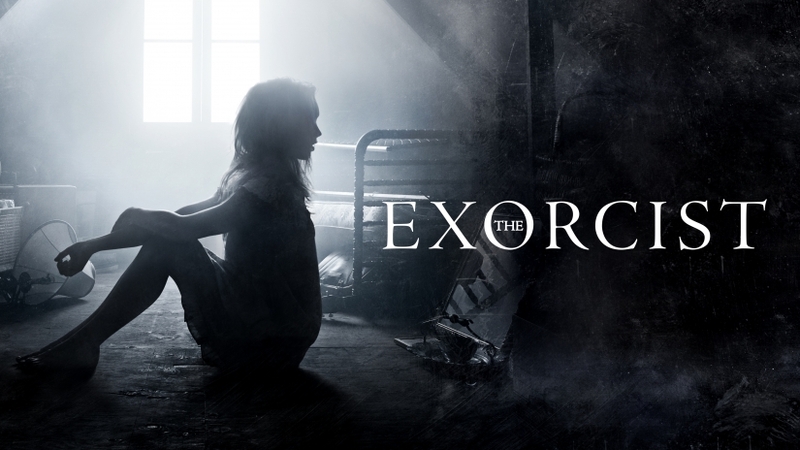 Just as “The Exorcist” novel and film sparked a wave of demand for exorcisms in the early 1970s, everything from modern TV shows and podcasts to newspaper articles can cause what Plante deems a “social contagion effect” regarding possession. “I always think that we’re kind of on the edge of some kind of a Satanic panic,” Laycock said. It’s been more than 40 years since William Peter Blatty penned “The Exorcist” in 1971 and William Friedkin directed the Academy Award-winning film of the same name in 1973, but their jarring, unforgettable display of demonic possession still haunts. Fox’s “The Exorcist” TV series is in its second season, a theatrical version of “The Exorcist” opened this month in London’s West End, and “Inside The Exorcist” is a chart-topping new podcast. These themes also beckoned Sean Crouch to “The Exorcist” on Fox. Crouch, a Catholic who once dreamt of becoming a priest and is now married to a pagan, doesn’t believe in demons or possession. “Probably exorcisms do far more damage than good over the course of human history,” he said, which is why Crouch was so keen to highlight mental illness in season two of the series. “My one worry, obviously, with doing a show like this is that it does open up to people who maybe have mental health issues who don’t go to the proper people for help,” he explained. 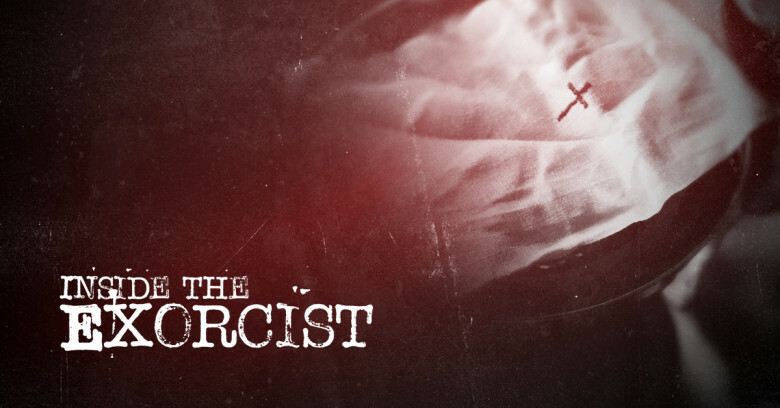 Crouch says the current season of “The Exorcist” focuses on depression, adding that episode three highlights the Catholic Church’s protocol of identifying the mentally ill among exorcism candidates. “I wanted to make that a big deal here that [priests] don’t ever want to do it on a healthy person,” he said. About five years ago, the Rev. Miguel Bustillos says he faced the devil for the first time. He had traveled to Tampa, Florida, to visit his ailing uncle. That experience propelled Bustillos to study at The International School of Exorcism, founded by the Rev. Bob Larson. Though he is a non-denominational Christian pastor, Bustillos also took the Vatican course on exorcism in Rome. The Maryland-based exorcist says it’s important to first differentiate between deliverance and exorcism. Bustillos, who has performed more than 100 exorcisms, says only 5 percent of cases require an exorcism. He believes “Christian over-spiritualizing” is rampant. Bustillos has also found that people seeking his services usually have psychological trauma. “Many of my clients are referred to mental health experts if there is any suspicion of mental illness,” he explained. “If the mental health professional tells me that the person has a spiritual issue, then I deal with the person. While Bustillos has established a methodology for consulting with people who claim to be possessed, he isn’t bound to the Catholic Church’s storied rituals. He says he is trained in performing deliverance ministry via Facebook Messenger and Skype. For many in the U.S., demons roam outside of fiction. According to a 2007 Pew Research survey, 68 percent of Americans completely or mostly agree that angels and demons are active in the world, while a 2012 Public Policy Polling survey found that 57 percent of Americans believe in demonic possession. Forty-six percent of Americans believe in the power of exorcism, says a 2013 YouGov poll. Laycock sometimes gets emails from people claiming to be possessed by demons. Most, he mused, are neither possessed nor mentally ill — just bored. While the Catholic Church has strict requirements for obtaining an exorcism, the advent of the internet has made booking self-proclaimed exorcists with little to no training a cinch. In the U.K., Theos reports an increase in exorcisms “in defiance of any actual rules or procedures put in place by any church,” something Plante says is dangerous. In cases where people with mental illnesses undergo unnecessary exorcisms, they not only don’t receive the psychiatric care they need but also could suffer additional psychological consequences. On occasion Plante gets patients who stump him, whose behavior remains unexplained after a complete psychiatric and medical evaluation. Those he refers to the Rev. Gary Thomas, exorcist and inspiration for “The Rite,” a 2011 film starring Anthony Hopkins. This article was written for Lindsey Leake’s COMM 622 Writing and Editing for Convergent Media course on Friday, Oct. 20, 2017.